In my previous post I mentioned that there are three types of tools I use regularly that help us study the Bible faithfully. They are: 1) Resources to help us investigate Bible backgrounds 2) Resources to help us investigate Biblical languages 3) Resources that help pull all we would investigate together. In this post I will share about resources that help us investigate Biblical languages. The Bible was translated into English. The Bible was not written in English. The failure to realize the implications of the previous two statements has not only been the source of one of the modern church’s most ridiculous squabbles but it has also been the wellspring of poor preaching and teaching over the years. The original languages of the Bible are Greek, Hebrew, and Aramaic; not Shakespearean English. So when we study the Bible we are not trying to get back to the meaning of the words in the KJV, we are trying to bring out the meaning of the words that appeared in the Greek (NT) and Hebrew (OT) texts. To help us in this task we need two things, a sample of modern English versions of the Bible that reflect a wide range of equivalence and a Strong’s concordance and/or a language dictionary that is coded to Strong’s numbers. I am not an expert in Biblical languages by any means, but in what study I have done in this area, it has helped me to realize how difficult it can be to translate one language into another. As the old saying goes, something is always lost in translation. Like any language, Greek and Hebrew are very picturesque languages with words that can carry a wide range of meaning. A close to home example of the task of translation is the Spanish word piñata. There is no English translation for the word piñata. Yet, if you were to ask some English speaking people to define piñata, one person might say, “It is a papier-mache container, usually shaped like an animal that is stuffed with candy.” Another person might say, “It is an animal shaped candy container that people hit at a party. When it bursts candy goes everywhere.” In this scenario, both descriptions are right. One description offers a technical, more literal description that helps us understand what a piñata is like. The other description offers a more functional description that helps us understand how a piñata is used. Both descriptions taken together give us a range of equivalence, or a range of meaning. 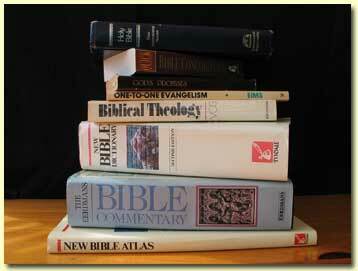 When speaking of Bible versions or translations we usually refer to them based on either dynamic or formal equivalence. Dynamic equivalence means that the translation of the word tries to render the meaning of a statement in a way that is most familiar to the reading audience. Formal equivalence means that the translation of the word tries to render the form of the statement that is closest to the original language, yet understandable in English. Although it is technically impossible to render a “literal” translation of the Bible that is readable by an English speaking audience, formal equivalence is generally what people refer to as “literal” translation. Modern Bible versions exist on a scale somewhere between formal and dynamic equivalence. According to Gordon D. Fee and Douglas Stuart, authors of How to Read the Bible for All Its Worth translations such as the KJV, NKJV, and NAS exist on the scale closer to formal equivalence. While these translations are more literal, the intended meaning of the text may be lost in translation. Translations such as the NIV, TNIV, and NAB are exist closer on the scale to dynamic equivalence. These translations are usually more readable and easier to understand. While these translations make the text more understandable to the reader, the original form of the text can be lost in translation. Other translations such as the ESV and the NRSV are more central on the scale between dynamic and formal equivalency. In Bible study, it may be helpful to compare translations that exist on various points on the scale of equivalency. I find it helpful to also have a more “free” translation on hand, what some would call a paraphrase. These translations are more thought for thought. Translations in this category would be the NLT or The Message. When I compare versions, I generally pull together the NAS, ESV, NIV, and NLT. By doing so it helps me to see the range of meaning that is present in Biblical words. A good verse to use would be 1 Corinthians 13:12. This verse works especially well if you are accustomed to studying the Bible primarily in the KJV. By following this link, you can see that the KJV says, “Now we see through a glass darkly.” What does this mean? Does it mean that I am looking through a dark tinted glass, like sunglasses or maybe a dirty window? What does this mean? By looking at some other modern versions, you see that the original word here is more equivalent to our word “mirror” which is indeed made out of glass. Yet, while this may seem more literal and technically more accurate, the word being translated here actually has nothing to do with glass at all. The word actually speaks of a highly polished piece of metal that would be used for reflectivity. Which also explains why the text reads that we see “through a glass darkly.” It doesn’t mean that the mirror is dark in color, the word more accurately rendered means that the image is blurry, you can’t see it fully. If you have ever used metal as a mirror you know that no matter how polished it may be, there is some distortion to the reflection. In this case we get the full intent of the author in the NLT which reads, “Now we see things imperfectly as in a poor mirror.” Though the NLT is nothing close to a literal translation, we see that by moving further down the scale of equivalence, in this case, we get a more faithful rendering of the original text.